Stichelton develops a tough hard crust which is pale grey and has powdery white patches. The crust is pierced with stainless steel needles during production to allow the distinctive blue mould to develop. Once the air enters the holes, the penicillium roqueforti which has been dormant starts to grow and produces the blue veins. 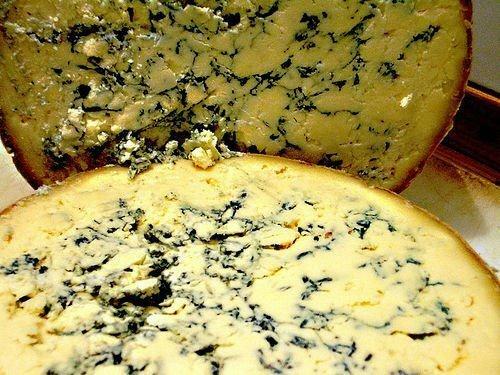 Stichelton is renowned for its creamy, gentle flavours which are cut through by the sharpness of the blue veins. The cheese softens as it blues and develops an intense flavour akin to the way wine ages. Stichelton is a fundamentally different cheese to Stilton, which whilst having common ancestry use different recipes and techniques, resulting in the end product having a different taste. The two products should not be confused. Don’t lose me… eat me!